Sorry I have been gone so long, but we took a much needed break and went on a car trip. We drove through 4 states and had a wonderful time. Does anyone recognize where I took the photo I posted above? I will post some photos of our trip this week, but right now I am trying to unpack and catch up with emails. They say if you are sad to leave when you are on vacation you stayed too long. Well, we were gone for a little over a week and it was too darn short and I was not ready to come home! We have only gone on long weekend trips since we had kids so this was the longest vacation we have had in years and years. But it was just too short... I needed at least another week to fully recharge, but we are going to plan some mini-trips this summer. 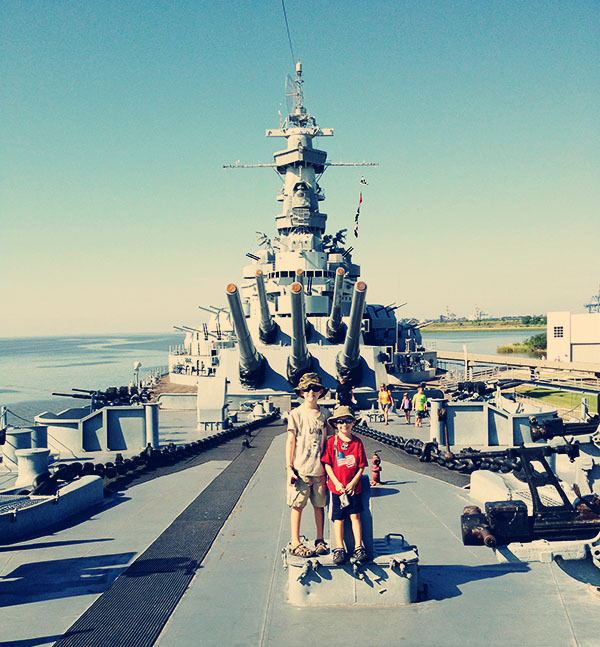 I'm thinking that picture is on the USS Alabama in Mobile. Great place for little boys. Your photo looks awesome! What camera and lense do you use? I took this with my iPhone! I thought that might be the USS Alabama. I am glad to hear that it is fun, my family is headed down there in just under a week!